Musical theater’s best leading men transport you from the Golden Age and back again in a thrilling and moving evening of Broadway’s most beloved hits. You’ll delight to hear favorites from SOUTH PACIFIC, WEST SIDE STORY, PHANTOM OF THE OPERA, LES MISERABLES, JERSEY BOYS, and the list goes on. They’ll leave you breathless, recreating the roles they’ve played on Broadway and on stages all over the world. 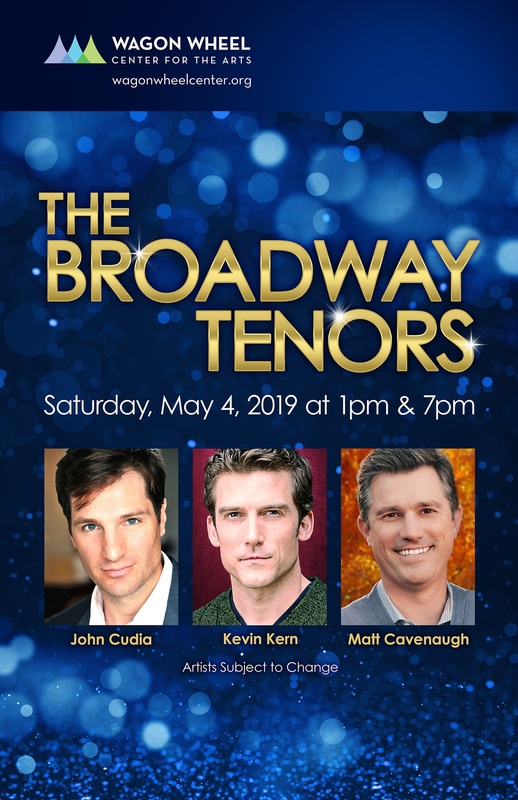 John Cudia holds the distinct honor of being the first and only actor to have performed both as the The Phantom in The Phantom of the Opera and Jean Valjean in Les Misérables on Broadway. John’s most recent Broadway run counted him as only the 12th performer to play the Phantom in its historic, record-breaking, 25 years. 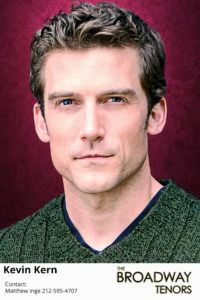 John recently played Jean Valjean at the Marriott Theater in Chicago where his performance not only earned him critical acclaim but also the Joseph Jefferson Award for “best actor in a musical.” John proudly made his Broadway debut in Les Misérables and enjoyed a long and successful relationship with both Les Miz and Phantom. John toured the United States and Canada as the Phantom and also has the role of Raoul to his credit. John was raised in Tom’s River, NJ, and was a musical performer from a very early age. He earned his B.A. from Fordham University and then went on to perform leading roles in theaters across the country including Jesus in Jesus Christ Superstar, Lieutenant Cable in South Pacific and Tony in West Side Story. John is now emerging as classical crossover artist. 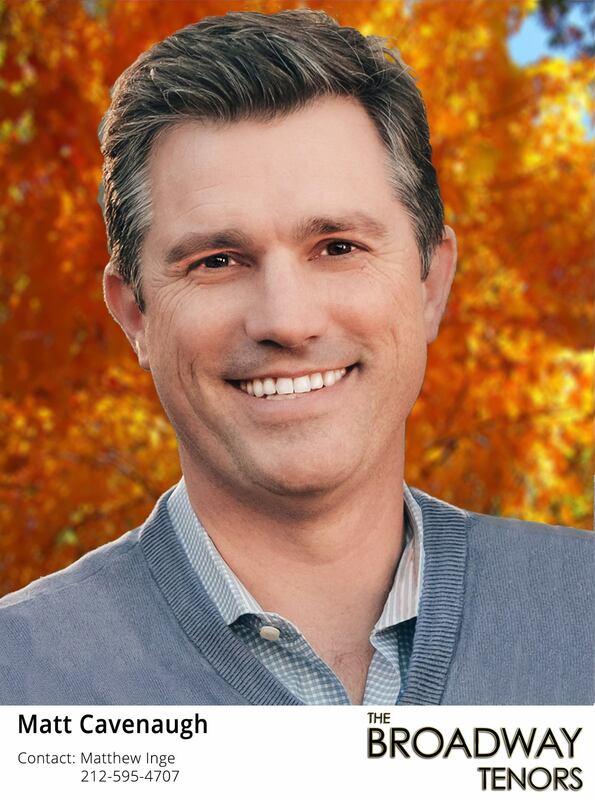 As a featured tenor soloist, John has sung in concert across the country with The Music of Andrew Lloyd Weber, The Omaha Symphony and also with the Orchestra of Saint Peter by the Sea in his home state. He is excited to be making his Lyric Opera of Chicago debut this Spring as Curly in their thrilling new production Oklahoma! Following the Lyric, John will sing his first Alfredo in La Traviata with Lyric Opera of the North. John is happily married to Broadway actress Kathy Voytko and the proud father of Alena Joyce, 3 and Evelyn Rose, 18 months. Kevin Kern is just back from starring as JM Barrie in the National Tour of Finding Neverland. He performed this role over a hundred times in the Broadway production as a standby for Matthew Morrison, Alfie Boe, and Tony Yazbeck. Other Broadway credits include Wicked (Fiyero), The Bridges of Madison County (Standby for Robert Kincaid), First Date (Standby), The Wedding Singer (Standby for Robbie Hart), and Les Misérables (Marius). He has also performed in London where he was a part of the West End production of Hair. On the other side of the globe, he has traveled and performed extensively in Asia. He helped open the Culture Square Theater in Shanghai and has performed concerts in Singapore and Manila. Currently, he is helping to develop Singapura, an original musical opening in 2015 in Singapore to celebrate the 50th anniversary of their independence. Other travels have taken him to Los Angeles where he was in the Pre-Broadway production of 9 to 5 The Musical and across the country in the National Tour of The Music Of Andrew Lloyd Webber. He has also performed concerts in Mozambique, Chile, Argentina, and all around the Caribbean. Closer to home, he was in the original Off-Broadway productions of Next To Normal at Second Stage Theater, played Woody in Finian’s Rainbow at the Irish Repertory Theater, and was a swing in the original company of Altar Boyz, where he performed all five roles. 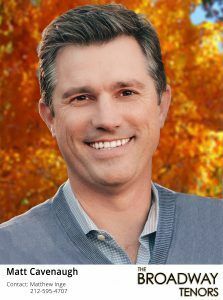 When he’s not working in New York, Kevin has performed across the country in such venues as The Papermill Playhouse in New Jersey, The St. Louis MUNY, Sacramento California Music Circus, The Virginia Opera, and The Signature Theater in Washington D.C. He has also performed at the world-famous Carnegie Hall. Kevin originally moved to New York City to attend New York University where he earned a Bachelor of Music in Vocal Performance. He and his wife, Megan Lawrence, have four crazy kids named Gus, Sunny Jo, Nolie, and Clover! 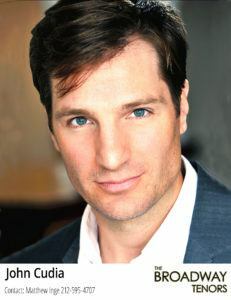 MATT CAVENAUGH played Tony in the Broadway revival of West Side Story (Outer Critics Circle, Drama League Nominations). Other Broadway credits include Grey Gardens, A Catered Affair, and his Broadway debut in Urban Cowboy. Matt has toured the country in productions of Thoroughly Modern Millie, Ragtime, Grease, and Strike Up the Band. Off-Broadway productions include Death Takes a Holiday and Grey Gardens. “Mr. Cavenaugh, the boyish star of the recent revival of “West Side Story,” possess a strong tenor. ” – Charles Isherwood. NY Times. Select regional theatre credits: Gigi (LA Reprise); It’s a Bird, It’s a Plane, It’s Superman (DTC); A Catered Affair (The Old Globe); Palm Beach (La Jolla Playhouse); Anything Goes (Williamstown Theatre Festival); Carousel (Pittsburgh CLO); 2 Lives (George Street Playhouse); Princesses (Goodspeed Opera House); Dorian (Denver Center).